Doesn't hold back despite being outnumbered. One England fan didn’t hold back from celebrating their penalty shootout win in the last 16 despite watching the game in a bar full of Colombians. 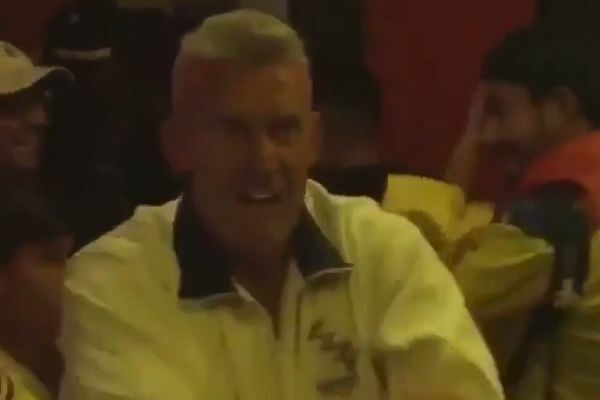 The bar in Moscow is awash with yellow shirts as Eric Dier steps up to take England’s decisive penalty, but there is one man in a Leeds United top. As the penalty is scored, ashen-faced Colombia supporters troop away while the man in the Leeds top goes potty, waving his arms and flinging beer about. England will play Sweden in the World Cup quarter-finals on Saturday.